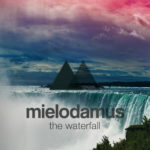 Mielodamus is a one man music project based in Groningen, The Netherlands. His music can be described as atmospheric and electronic. He has put forth five collections of his music: ‘Top Priority’ (2010, ‘Atmospheres’ (2011), ‘Flying Over Mountains’ (2012), ‘The Pace of Life’ (2014) and ‘In the Forest’ (2015). While often sticking to atmospheric music, sometimes a deviation is made towards more dance-esque music, often taking the form of remixes. new album out on the 8th of August! I’m very happy to announce the release of my newest album in less that a months time, on the 8th of August. The album called ‘The Waterfall’ will consist of 12 tracks with a run time of about 47 minutes. It will be available through every popular streaming service and will be available to download in full for just €2,- via BandCamp. Website crafted by Pepijn Koning. © 2010-2019 Mielodamus Music. All Rights Reserved.